The founder of the Basque department in the Reno University of the USA, he worked to fix the Basque conflict during 2003-2004 by demand of the Henri Dunant Centre in Geneva. What follows is my recollection of certain events from autumn of 2003 through spring of 2004 concerning my involvement in the negotiations that culminated in ETA’s renunciation of violence in March of 2006. But first several caveats are in order. The primary consideration is that I am referring to but one aspect of the larger picture of the ongoing process of dispute resolution between the Spanish and Basque governments that will likely configure a new foundation for their future relations. I have neither had nor have privileged information or protagonism in that wider arena. Second, I am presenting this protagonist’s recollections alone, ones that may well vary from those of the other parties to the events. I also expound my private thoughts and interpretations at critical moments while speculating about those of others. They may well take exception with all or parts of such imputations regarding their musings and motives. Finally, I would note that I had my reservations about becoming involved at all, at least initially. These stemmed from my academic training as an anthropologist and understanding of its meaning. Within the history of my discipline there is longstanding debate regarding the appropriate stance with respect to the critical issues surrounding the lives of our subjects. One extreme has been labeled action anthropology, sanctioning intervention that ranges from advocacy to activism. The other is the viewpoint that scientific objectivity demands of the investigator a certain distancing and impartiality. Both subject positions tend to be couched in moralistic terms and each can be argued eloquently. After conducting dissertation research in two Spanish Basque villages I have dedicated my career to founding and directing a Basque Studies Program for the University of Nevada System. I suppose that professional stance makes me an action anthropologist of sorts. However, at another level I regard myself as a Boasian believer in the importance (and possibility) of scientific objectivity as critical to anthropological understanding. The reference is to Franz Boas, arguably the father of modern American anthropology, who criticized his colleagues for lending their professional expertise to the Allied war effort during World War I on the grounds that they were thereby compromising their capacity to conduct impartial anthropological analysis. The American Anthropological Association formally censured him for his trouble, a censure of its first president that was only rescinded in 2005! Consequently, regarding Basque politics, and ETA in particular, I saw myself as an observer and analyst through the occasional public presentation and publication rather than any sort of protagonist. There was one exception. At the urging of my colleague, Joseba Zulaika, in 1995 I became involved in an effort that culminated in the creation of the International Committee for the Basque Peace Process. At the time, I was director of Nevada’s Basque Studies Program and Zulaika approached me with the request that we become involved in an initiative of Jonan Fernández, leader of Elkarri (a populist peace movement in the Basque Country), to convince the Carter Center to mediate negotiations between all of the parties to the Basque political conflict, including ETA. There had already been several discussions with Harry Barnes, key administrator of the Carter Center, who had expressed conditional willingness to proceed. That organization’s key requirement was that all parties to the conflict agree to participate in the negotiations. Fernández came to Reno to give a talk on campus and (with some reservation) I agreed to lend BSP sponsorship to a joint effort. Shortly thereafter I was in the Basque Country, and Jonan and I held a press conference at which we announced formation of The International Committee for the Basque Peace Process. By then it had become public knowledge that the Carter Center was somehow involved. As it turned out, Jonan was able to get a commitment from all but two parties to the conflict to participate in the proposed negotiations. There was recalcitrance on the part of the Partido Popular in that it was reserving judgment, but it was not a definitive refusal. However, the initiative faltered when ETA refused to attend. So, in effect, the whole effort proved abortive. To my knowledge, the Carter Center ceased to be a player at that time. There was obvious disappointment, but Jonan and I decided to take the further step of ascertaining the degree to which the International Committee for the Basque Peace Process might strike a chord within Basque diasporas (particularly the North American one) and possible interested sympathizers. 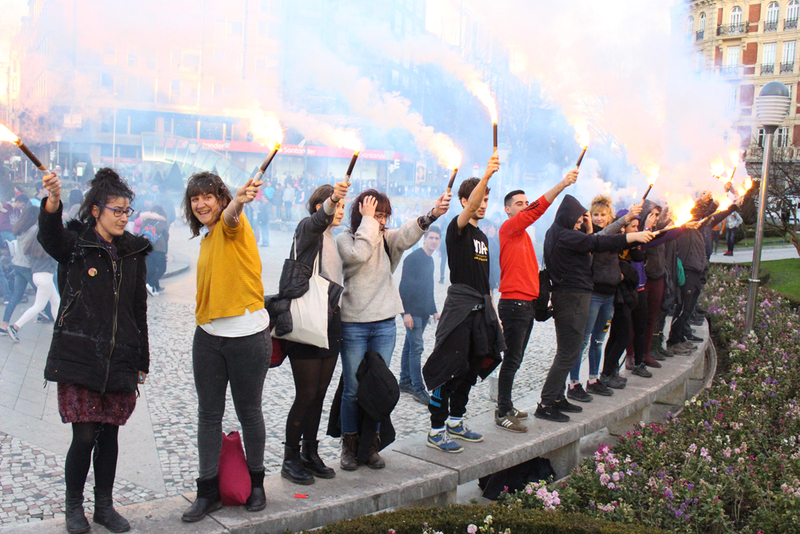 There was clear recognition of the importance of English as the prime medium in international affairs, as well as the need to inform the world in that language of the nature of the Basque conflict and the peace movement advocating its resolution. I therefore agreed to help edit and then translate a pamphlet into English that provided a succinct overview of the key historical and contemporary issues. I also announced a fund-raising campaign for the Committee through our newsletter. However, it soon became apparent that we had miscalculated and the initiative was losing momentum. There were several difficulties and delays in the production of the publication. Of greater significance was the lack of response to the fund-raising appeal. We collected less than three hundred dollars in all! In sum, while technically the relationship between Elkarri and the Center for Basque Studies at the University of Nevada, Reno persists, in that the International Committee for the Basque Peace Process has never been abolished, for all practical purposes it has been inactive for several years. Meanwhile, on December 31, 1999, I retired from my position and assumed the less engaged role of professor emeritus. Consequently, when, in October of 2003, I was e-mailed by The Henri Dunant Centre for Humanitarian Dialogue in Geneva, asking if I would contact them for a possible consultancy regarding the Basque conflict, I declined (while probably citing the failure of the Carter Center initiative). It was certainly a time for even greater pessimism. Within the preceding few months the Spanish Government of Popular Party President José María Aznar had launched a series of harsh measures, including outlawing the Basque radical left political party Batasuna, criminally indicting Juan Maria Atutxa, the head of the Basque Parliament (and his council) for failing to expel Batasuna’s elected representatives to that body, and closing down Euskaldunon Egunkaria, the only Basque language newspaper (while arresting its editorial staff and torturing its director) on the grounds that it was a mouthpiece for ETA. Meanwhile, relations between Aznar and Basque President Juan Jose Ibarretxe could not have been worse. It was public knowledge that there were no lines of communication between the two leaders, and divisions were hardened when President Ibarretxe, in response to a request by the Basque Parliament, presented a vision of greater Basque political autonomy within Spain that opponents viewed as a major step on the road to independence if not tantamount to it. The Spanish Government denounced it out of hand and, when President Ibarretxe announced his intention to put it to a consultative (not legally binding) referendum of the electorate of the Basque Autonomous Community, the Spanish Parliament passed a law that would imprison him should he do so. ETA was experiencing one major reversal after another that reflected both close cooperation between the French and Spanish security forces and the likely infiltration of the organization by informers. The Aznar government had pronounced ETA to be all but defeated, its ultimate demise being but a matter of time, and regularly reaffirmed its commitment to the efficacious police measures that were in place. Furthermore, Spain’s two major political parties were partners in a highly publicized Anti-terrorist Pact, whereby they both swore not to negotiate with terrorists—essentially meaning ETA. Finally, Spain was engaged in an electoral campaign due to culminate in a parliamentary vote the following March. Aznar was due to step down and his successor within the party was Mariano Rajoy, the likely next leader of the country. The PP entered the fray buoyed by a sound economy but burdened with the unpopularity of Aznar’s alliance with Bush and Blair in Iraq and the perceived failure of his administration in dealing with a major oil spill along Spain’s northwest coast (criticism similar to that of the Bush administration’s handling of the aftermath of Hurricane Katrina). However, the efficacious (at least at the national level, albeit less so in the Basque Country and Catalunya as well) cornerstone of the PP’s campaign was counterterrorism in the guise of anti-Basque rhetoric that depicted all Basques as either terrorists or their sympathizers. In short, the climate for a negotiated political settlement of any aspect of the Basque question could not have been much bleaker. However, the Henri Dunant Centre (HDC) did not take my refusal in stride. Rather, I received a follow-up telephone call from Deputy Director Andrew Marshall asking if I would agree to come to Geneva, even if only for a day or two, to listen to their proposal. It proved harder to turn down a persuasive person than an impersonal e-mail, and in early November I was in Switzerland discussing Basque politics over lunch with Andrew and the Centre’s director Martin Griffiths. After hearing each other out we were to meet again the next day to decide where (if anywhere) we would go from there. I was quite impressed with Andrew, Martin, and particularly the Centre. On the day of my arrival a number of Israelis and Palestinians were in the conference room putting the finishing touches upon what came to be known as the Geneva Accord. I was told of the Centre’s failed effort in Aceh where, for a time, it commanded a small international peace force, its work in Nepal, and its involvement in Darfur (well before that became a household term). Clearly, HDC was for real—but was I? At our morning meeting I emphasized my retired status and the fact that I now followed events in the Basque Country less closely, not to mention that I had not been there for more than a year. I therefore expressed my uncertainty regarding the wisdom of the Centre initiating or facilitating any kind of negotiation. 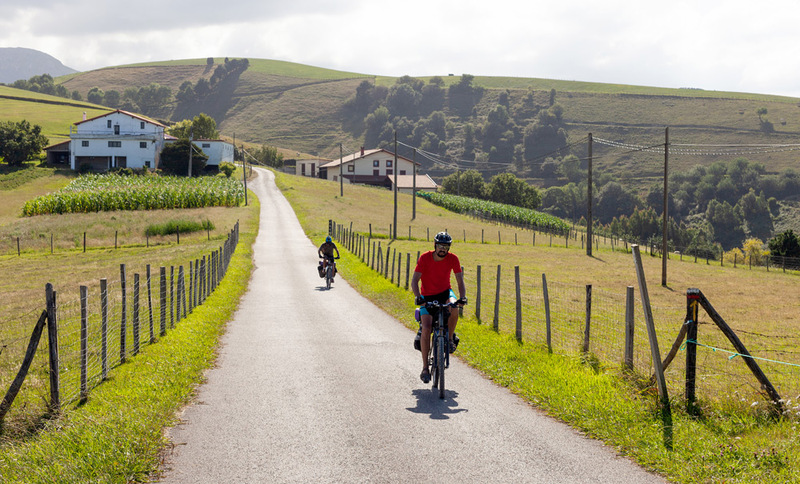 I felt that in order to ascertain its feasibility I would have to spend a few weeks in the Basque Country. I wasn’t sure how the prospects of a negotiated settlement would be received by my circle of friends and acquaintances. Indeed, I was relatively certain that the reception would be mixed according to their individual subject positions. Andrew and Martin asked me to sign on as the Centre’s consultant, paying my expenses and stipend to visit the Basque Country for as long as I deemed necessary, the idea being that I would then return to Geneva for consultation and strategizing. I agreed in principle subject to my wife’s consent. At the time I was Jan’s caregiver as she confronted medical treatment for bone cancer. I returned home and discussed the prospect with her. As always, she was unconditionally supportive, even urging me to go forward. She proposed moving to Columbus, Ohio, to be with our son and grandchildren while I was gone. So I was off to the Basque Country in mid-November, planning to stay through the first week of December. Obviously, the assignment was highly sensitive, requiring both delicacy and secrecy. I needed some kind of cover story. Actually, the current state of affairs provided me with a perfect one. The so-called Plan Ibarretxe was inflaming passions and dominating Basque current affairs. I could quite credibly tell my interlocutors that I was researching the topic for an article. It was but a small matter to segue from discussion of the Plan to the prospects of resolving the dispute through negotiation. At the same time, I was unwilling to proceed without first sounding out President Ibarretxe on the matter. He was, after all, the elected leader of the Basque government and for all we knew there were one or more other initiatives in play that might be compromised by our (unwelcome) intervention. By this time my biographer, Miel Elustondo, and I had an informal arrangement whereby whenever he was in Reno he stayed in my guest house and when I was in the Basque Country I had the use of his apartment in the old section of Vitoria-Gasteiz. It would become my pied-a-terre for the next three weeks. Through the intervention of my long-time friend Iñaki Aguirre, Minister of Foreign Affairs, I was able to meet with President Ibarretxe on my first morning. I told them of the assignment, including disclosure of my capacity as paid consultant of the Centre, and asked for their reactions to the initiative. President Ibarretxe underscored his poor relations with Madrid, his determination to press forward with the referendum regardless of the personal risk and his unwillingness to negotiate directly with ETA. He used the metaphor of landing an airplane on a 700 meter-long strip of which he was responsible for 550 meters (the 550,000 votes received by the moderate Basque nationalists in the previous election). Arnaldo Otegi was responsible for the remaining 160 meters (the 160,000 votes received by the Batasuna Party that he headed). In disclosing these remarks I do not believe that I am breaking a confidence, since President Ibarretxe subsequently pronounced them in public. Actually, I was a bit skeptical of the expressed posture towards ETA, since it seemed to me likely that there must be some avenue of communication between it and the Basque Government, if only through Batasuna. On the other hand, it was plausible given subsequent events. In 1999, ETA nullified its unilateral ceasefire that had resulted from the so-called Lizarra Accord amongst the several Basque nationalist parties, a minor Spanish one and the trade unions (but not Aznar’s Popular Party or its main opposition, the Spanish Socialist Party). The parties to the agreement committed to working in unison to resolve the Basque Question. In announcing it’s return to violence ETA reserved its special condemnation for the PNV (Basque Nationalist Party), accusing it of failure to deliver on the commitment to work actively for eventual Basque independence. The PNV’s initial reaction was to deny the existence of such an agreement. However, when ETA published a draft of it, the PNV’s rather belated response was to acknowledge the document but then to assert that it had never been signed. On balance, within the annals of Basque nationalism writ large it was scarcely the PNV’s finest moment. In short, the PNV-dominated Basque Government’s relations with the Basque radical left were scarcely better than those that it had with Madrid. Then, too, there was the danger that any dealings with ETA might again become public at the critical electoral juncture when Aznar was accusing all Basque institutions of greater or lesser complicity with ETA. Subsequent events would seem to prove that President Ibarretxe was being sincere with me. In our meeting I was assured that, given the current stalemate, any fresh international initiative would be most welcome and would not be in competition or at cross purposes with any other effort. Coincidentally, President Ibarretxe and Minister Aguirre were scheduled to attend a couple of weeks later a convention in Geneva with a Basque trade delegation. They were disposed to meet with Martin and Andrew at that time and I agreed to arrange it. I then embarked on a rather full schedule of interviews with academics, professionals, authors, businessmen and simply friends from various walks of life. With all of them I stuck to my cover story. They, of course, know who they are and I wish to respect their anonymity and confidences. In point of fact, if there was a surprise it was their near unanimity in desiring some sort of way out of the impasse. At the same time, there was little optimism regarding its likelihood. Some felt that the Plan Ibarretxe might prove to be the next path, albeit a rocky one. Others felt it would simply antagonize Spanish nationalists and provoke even more punitive measures. Two declared categorically that if the Plan went into effect they would consider moving elsewhere in Spain. All of my acquaintances of the Basque radical left were cautiously curious, some even praising Ibarretxe for his courage. The only person who rejected the idea of a negotiated settlement out of hand was an elected official of the PP. He felt that ETA (as well as Basque nationalism in general) was on the ropes and there should be no compromise. In his view the impending election would likely confer on the PP an absolute majority in the Spanish Parliament and possibly even the Basque one. One of my academic contacts, an acknowledged expert on Basque politics, noted that he and many others had been asked for their input in the formulation of the so-called Plan Ibarretxe. The process had transpired over several months. So, obviously, the final result was both pensive and collective rather than spontaneous and idiosyncratic (as depicted by some of its critical opponents). That insight prompted me to contact the two former Basque presidents, José Antonio Ardanza and Carlos Garaikoetxea. 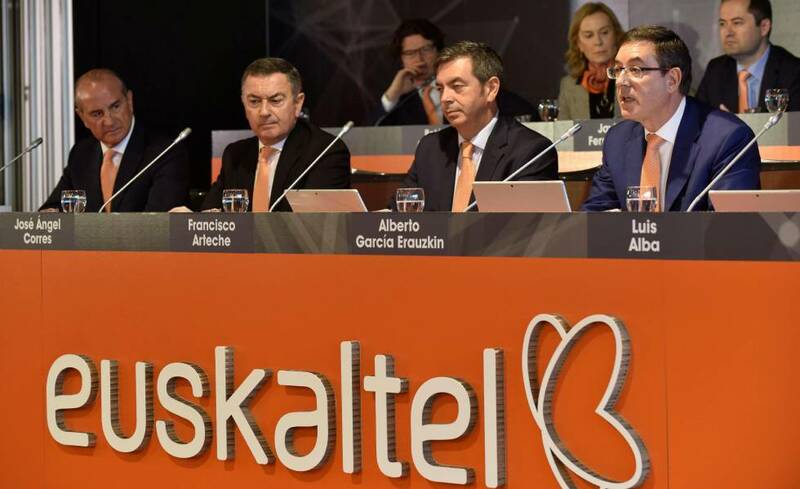 I met with President Ardanza in his office at Euskaltel, the Basque telecommunications company that he directs. Again, I do not feel that I am betraying a confidence as he expected me to record our interview and then publish from it. He not only supported the Plan, he animatedly insisted that when the PP walked away from the Mesa de Ajurienea (Roundtable of Ajurienea) he had warned Aznar that it would lead precisely to such an outcome. Reference was to the regular meetings that Ardanza used to convene as president (Ajurienea is the Basque presidential residence in Vitoria-Gasteiz) in order to seek resolution of the Basque conflict. Initially, all of the political protagonists (PP, PNV, EA, PSOE) save ETA and the radical left were in attendance. The PP’s decision to withdraw effectively scuttled Ardanza’s initiative. President Garaikoetxea was vacationing in Andalusia, so I spoke with him by telephone. He is the leader of EA (Eusko Alkartasuna), one of two political parties within the mainstream of Basque nationalism. While serving as the first Basque president, Garaikoetxea was a member of the PNV. Upon leaving the presidency (after losing PNV support), he led the schism within the Basque Nationalist Party that resulted in EA (Basques United). While the PNV and EA at times differ on issues and contest power, they tend to stand shoulder to shoulder when Basque nationalism is challenged from without. President Garaikoetxea reiterated to me his public position regarding the Plan. He was supportive of it in general while believing that it could have taken an even harder line on a few points. I was then taken aback because he began to press me on my views and suggestions regarding the Plan Ibarretxe. It was then that I realized that I had not really thought through obvious implications of my own cover story. I must surely have underwhelmed Garaikoetxea with my vague knee-jerk responses. In early December I departed for home, but with a routing through Geneva to confer with the Centre and facilitate the meeting with President Ibarretxe and Minister Aguirre. Ostensibly, I was to serve as translator, although Aguirre is fluent in English. As it turned out, President Ibarretxe knows considerable English as well and only required clarification of a finer point or two. At the meeting President Ibarretxe reiterated the same positions that he had expressed in our earlier encounter, including his belief that it was up to the Basque radical left to deal with ETA. Against the backdrop that the Spanish Government’s representatives in Brussels were regularly misconstruing the Basque question in the European Parliament, while seeking to wall if off from international scrutiny as Spain’s domestic matter, as well as the fact that they were insisting upon redrafting of the text of the pending European Constitution to expunge references to “peoples,” “nations” (without states) and “regions” (much to the chagrin of entities like the Scots and the German Länder), we considered preparing a concise exposition of the Basque question in English for distribution to all of the European Union’s parliamentarians. While there was agreement at the time, the initiative failed to materialize when the subsequent efforts assumed an unexpectedly different trajectory. Martin, Andrew and I met for lunch the next day to discuss strategy. By then I was convinced that no matter how difficult or infeasible negotiations might be, were they implemented they would likely find considerable support across a broad spectrum of the Basque public. It was also apparent that the real challenge was to bring such seemingly implacable foes as ETA and Aznar’s Spanish government to the negotiating table. Regarding the latter, Martin asked if King Juan Carlos had any influence over Prime Minister Aznar. I was uncertain, but opined that it was possible. Martin then remarked that the Centre might be able to use its networks to influence the Spanish monarch to intervene with Aznar to soften his administration’s hostile stance toward possible negotiations. But, of course, the immediate concern was ETA. Obviously, if it was unwilling to participate (as had been the case with the Carter Center initiative) all bets were off. 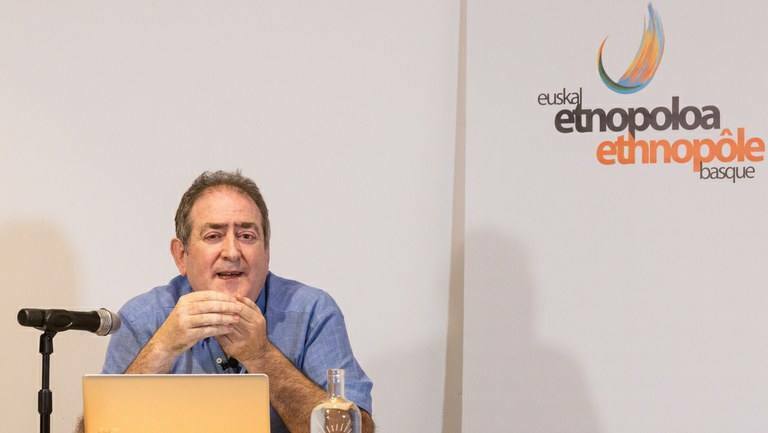 Martin then disclosed that some months before ETA had asked a European government to offer to intervene, which it did only to have its overture rejected out of hand by Madrid. The spurned mediator then mentioned to Martin that HDC might consider becoming involved--and so this story began. Could I contact ETA? I had no direct way of doing so but thought that I might be able to through some of my friends in the Basque radical left. At the same time, I expressed concern over what might happen to me if I was apprehended in the attempt by the Spanish authorities. Contacting ETA was illegal under Spain’s counterterrorism laws and, for that matter, U.S. ones as well. There was a bit of jocular banter back and forth regarding my being left out in the cold. Depending upon unspecified circumstances the Centre might be able to help, but we would have to see how it all played out on the ground. In short, I would be pretty much on my own. By this time I was too involved to even consider pulling out. So we moved to the more serious matter of how to proceed with respect to substance rather than mechanics. Assuming that I could contact ETA, what would be the nature of the communication? I shared my knowledge of the several previous and abortive negotiations with ETA that had all foundered over the political future of the Basque Country. At some point ETA had always demanded political concessions that proved simply unacceptable to the Spanish Government—end of dialogue. I felt that we should be absolutely clear that HDC would only be willing to mediate discussion of the key humanitarian issues—the fate of imprisoned and exiled ETA members, the terms for reinsertion of the current activists back into society, compensation of the victims of the violence—but would remain scrupulously impartial regarding resolution of political disputes. The Centre should, however, defend ETA’s Batasuna proxy, or some future one, to pursue its political agenda within the framework of the existing democratic process. Also, for the Spanish Government to entertain negotiations, ETA would have to renounce violence permanently and unconditionally. Even if more moderates within the PP might be interested, its hardliners would likely use ETA’s recent history of declaring and then rescinding a unilateral truce as the basis for scuttling any peace process. Martin and Andrew endorsed this approach wholeheartedly. My ticket to Reno was changed to allow me to first return to the Basque Country. It was my hope to be able to contact Otegi, although I had never met him. So at this point I telephoned a friend who was a reasonably prominent figure within the Basque radical left and asked him to meet me for a drink in a rural tavern off the Durango-Vitoria/Gasteiz highway. After the exchange of normal pleasantries, I suggested that we go for a drive, during which I disclosed both my mission and need. He agreed to help, but dissuaded me from approaching Otegi. Batasuna’s leader was extremely busy and therefore hard to run down, on the one hand, and probably under close surveillance on the other. My friend proposed a person in the labor movement who, while probably not a member per se of ETA, was certainly able to communicate with it. I had checked into a hotel that is in the R&D industrial park of Zamudio near the Leioa airport. I did so because I was unknown to its management and on a given night half or more of the guests were likely to be foreigners. I would therefore not draw attention there. I was to return to my room to await news. As far as all of my other contacts in the Basque Country knew I had returned home to Reno. Several hours later I received the call that informed me of the next morning’s appointment in my room with the possible emissary of ETA. The wait seemed interminable since I was expecting a stranger who might turn out to be a policeman or worse. My baroque worry fed on the knowledge that ETA was a far from monolithic organization, with hardliners disposed to pursue the violent campaign at any cost --and therefore possibly ill-disposed toward a messenger of my ilk. The knock at my door was that of my intended contact, an intense man who immediately engaged me in a conversation regarding Basque-Spanish politics. When I informed him of the Centre’s position, he was most skeptical. Why should ETA entertain a negotiation that would be tantamount to surrender—even rejection of its own history and abandonment of its longstanding goals? He agreed, however, to pass on the proposal and promised to deliver a reply in person the next day. ETA’s response clearly surprised him. There was interest, but no one was about to take some academic’s representation of HDC’s offer. ETA wanted a letter from Martin specifying details and outlining the Centre’s commitment. I agreed to secure an answer regarding the letter by the next day. I called Martin who agreed not only to write it but also to deliver it in person. I had a flight to Reno the next morning and was concerned about Jan. Martin urged me to take it. He then made arrangements to stay in the same hotel and flew from Geneva to meet there with the emissary. A short time later Martin told me that they had received a reply from ETA and met briefly with two of its emissaries in Geneva. I asked for a copy of the letter and was told that due to security concerns they preferred to show it to me on my next visit to Geneva. I felt that little was likely to happen over the short term since Spain had entered the full-blown electoral campaign that was likely to culminate in the PP’s victory. The only question seemed to be whether it would gain an absolute majority in Parliament. It was unlikely that we could undertake a serious peace initiative until the electoral dust settled and the true magnitude of the PP’s victory was known. At that point the next challenge would obviously be how to approach the Spanish Government. I was to monitor the Basque and Spanish press from Reno while we awaited the March election. The Madrid bombing on March 11, and its political fallout during the three days before the March 14 election, was the unanticipated thunderbolt. An obviously nonplussed and panicked Aznar administration immediately declared ETA to be the author of the attacks. The Basque Government accepted the assurances of the Spanish security forces at face value and President Ibarretxe issued an unconditional condemnation of ETA. That declaration indeed underscored that there was no avenue of communication between the Basque Government and ETA. Initially, Otegi’s categorical denial of the armed organization’s complicity in the bombings was the sole dissenting voice. Clearly, given the party’s anti-Basque electoral campaign, let alone the prospect that the bombings were Muslim retaliation for Spain’s (unpopular) participation in the occupation of Iraq, the PP pulled out all stops to sustain the belief that the Madrid atrocity was perpetrated by ETA—at least until after the ballots were cast. 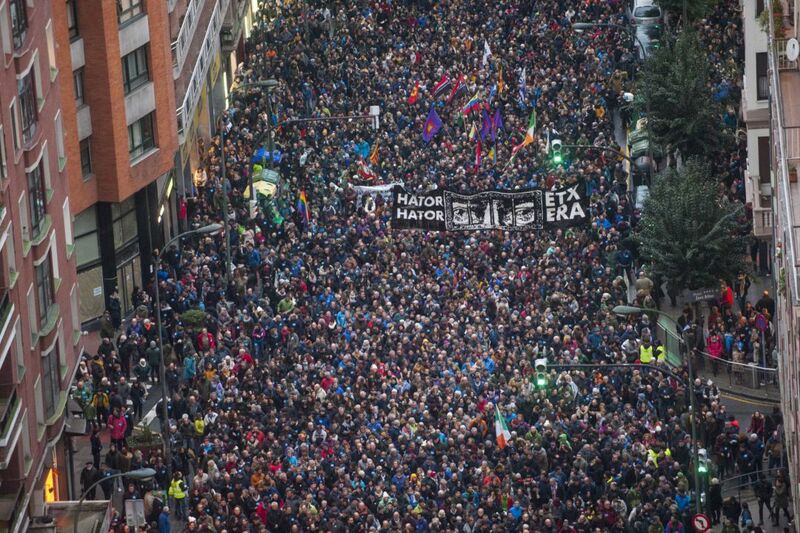 Spanish embassies around the world toed the line and there were attempts to rush immediate condemnations of ETA through the European Union and the United Nations. In Reno we felt the impact at the Center for Basque Studies in that many international news agencies contact us for comment whenever there is “Basque news.” In the event, there were so many requests for comments and interviews that the Center’s director Joseba Zulaika and I had to divide them up. We did not, of course, know for certain that ETA was innocent, but the bombings simply failed to fit its MO on several grounds. Our message was one of caution, that it was simply too soon to reach conclusions. In point of fact, much of the coverage in the international press adopted this posture. As it turned out, the PP’s attempt to sustain what was increasingly becoming an evident fiction unraveled before the election. Within a brief few hours the party went from certain winner with good prospects of gaining an absolute parliamentary majority to Spain’s out-of-power main opposition party. My advice to the Centre in Geneva at that point was to wait for at least a month before initiating overtures to the newly elected Zapatero government. Obviously, it would be stretched by the challenge to form the unanticipated Socialist administration. 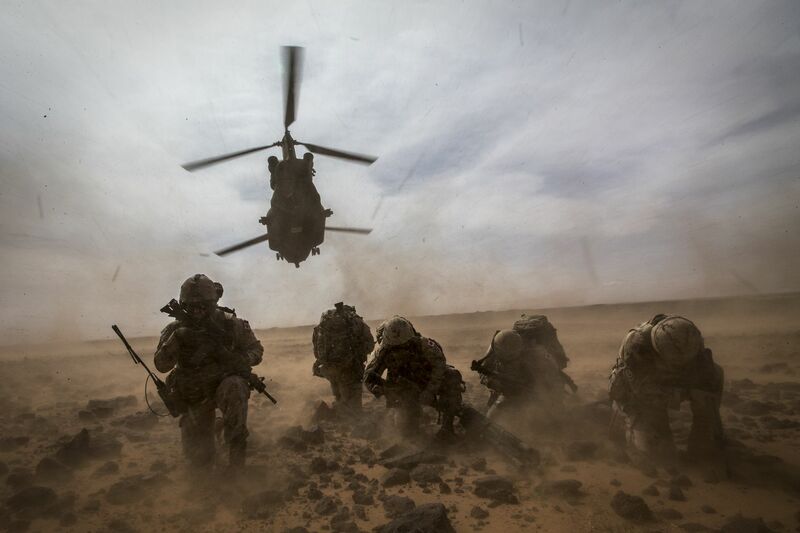 Then, too, it came under major pressure from the American Government when one of the new president’s first acts was to redeem his pledge to withdraw Spanish forces from Iraq. While it seemed that there would be little immediate latitude to broach the Basque question, in one of his early speeches President Zapatero declared his willingness to enter into discussions with ETA if it would first renounce violence. The posture was roundly denounced by the PP, which declared its Anti-terrorism Pact with the Socialists to be over. Obviously, it appeared that there was a significant opening for our initiative and I called Geneva. It was April and they had received a reply delivered in Geneva by two emissaries of the organization. I asked for a copy of the letter and was told that it would be too sensitive to send to me. I could examine it on my next visit to the Centre. I heard nothing for a couple of weeks and decided to call again. It was then that Andrew told me that they had decided not to engage the Basque conflict any further! His quite plausible explanation was that HDC’s plate was too full (Palestine, Nepal, Aceh, Darfur), overextending both its funding and personnel. Besides, Andrew opined, given the recent developments in Spain, ETA and the new government might very well be able to sort out their own future relationship. I was, of course both stunned and chagrined. Frankly, while I accepted Andrew’s rationales, not to mention the inevitable, I felt that I had assumed considerable personal risk, as had one of my friends and on my request. Indeed, on my next two trips to the Basque Country I could not bring myself to contact him since I would have had to relate our futility. In short, all had seemingly been for the proverbial naught. Periodically, President Zapatero reiterated in public his openness to the possibility of a negotiation with ETA preconditioned by its renunciation of the violence. At one point I even contacted the Centre with the offer to return to the Basque Country as its unpaid consultant if that might help rekindle its interest. Andrew hesitated for a day, but then informed me that the Centre’s decision not to become involved was irrevocable. The Basque question was no longer a part of its agenda. In March of 2006, ETA declared an unconditional and permanent termination of its violent armed resistance. This was welcomed by Zapatero and Ibarretxe, both of whom expressed their hope that the Basque question could be deliberated peacefully, and with full participation of all parties. In May, President Zapatero approached Parliament seeking approval of initiating negotiations with ETA. With the exception of (stunned) hard-line PP skeptics, ETA’s declaration was welcomed (in varying degrees) by the political parties and most of the Spanish and Basque citizenries. I was delighted as but one more interested observer informed by the media of unfolding developments. In April of 2006, I was surprised to receive an e-mail from the Centre’s public relations person. I had not heard from it in more than a year. 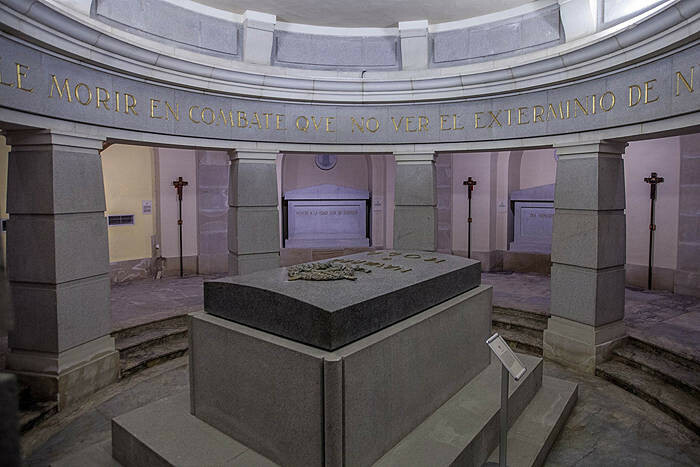 Attached was a lengthy article on the Henri Dunant Centre that had appeared in the El País newspaper. There was the rather curious note that Martin was interested in my reactions to the piece. It was totally favorable, in depth, and with an accuracy that bespoke formal collaboration. It detailed the Centre’s philosophy, modus operandi, and several of its past and present projects. There was no mention of Spain or the Basques. My reply was equally cryptic and to the effect that it seemed fine to me and could have been written by Martin himself. I found the whole exchange to be a bit odd, given our history, but dismissed it. In May, I visited the Basque Country to give lectures in Pamplona and San Sebastian. At one point I was alone with a political scientist -- one of my close friends and interlocutors when I was ostensibly researching the article on the Plan Ibarretxe. He asked if the Carter Center had been involved in the process leading to ETA’s declaration? “Not to my knowledge,” I said. His response was that he believed there was some sort of international mediation. “It must have been Oslo and Geneva,” he concluded. I asked what made him think so and he said that immediately after the March announcement there was speculation along those lines in El País. When I returned to Reno I called Martin and told him that he should be aware that Geneva was being aired in serious Basque circles as a possible facilitator of ETA’s declaration. He paused briefly and then said that he wanted to level with me. “We never stopped, Bill.” He went on to note that the Center had sponsored encounters in both Geneva and Oslo over a tortuous two-year period and that the process was ongoing. He expressed his chagrin at having had to exclude me, but in fact I had provided all that they had sought from me. I managed to put them in contact with ETA and provide them with the negotiating framework. He noted that they had never deviated from it—even though at times he believed that the process was on the verge of breaking down. ETA’s representatives had finally agreed to the permanent and unconditional ceasefire over drinks at Martin’s house in Geneva. Martin said that once everything was final he wanted me to come to Geneva to hear the whole story and to celebrate. After I hung up the telephone I could not have been more euphoric. Because of the time zone differences, the morning was just dawning in Reno, and as I sorted through my many thoughts and emotions the telephone rang. It was Martin requesting my e-mail address. He wanted to send me his written appreciation for my contribution, insisting that it had been pivotal. He again expressed his regrets for having had to exclude me, but with the assurance that I had been constantly in their thoughts and actions. What follows is derived from published secondary sources in Basque and Spanish newspapers and my own speculations about the course of events. I am referring to the cycle of formal negotiations between ETA and the Zapatero government mediated by HDC that were initiated in Switzerland on June 21, 2005, continued in Geneva and Oslo the following autumn and terminated in the summer of 2007. 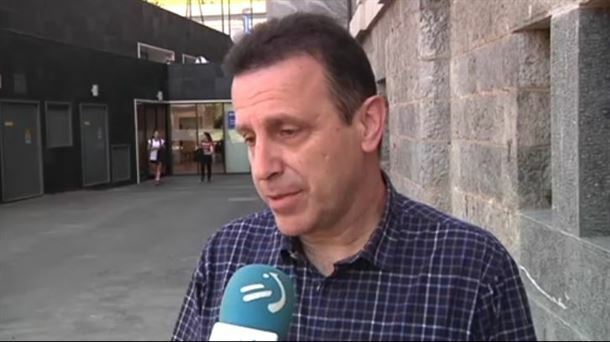 It is now public knowledge that the Spanish representative was Jesus Eguiguren, veteran PSOE member of the Basque parliament, and ETA’s spokesperson was Josu Urrutikoetxea Bengoetxea, Josu Ternera, ex-Basque parliamentarian for Batasuna and fugitive (in France). Eguiguren, while a convinced socialist and critic of institutionalized Basque nationalism, was far from anti-Basque. Even during the days of the Aznar government, and with the approval of Patxi Lopez (head of the Basque section of the PSOE), he had several meetings with Batasuna’s Arnaldo Otegi to discuss resolution of the violence and the political future of the Basque Country. Josu Urrutikoetxea was reputed to have possibly been involved in the assassination of Luis Carrero Blanco, Franco’s handpicked successor, the bombing of Barcelona’s Hipercor department store (July 19, 1987) in which 21 persons died, and was regarded by some to be ETA’s leader (the consensus was that at the very least he was a prominent member of the organization’s directive). The two men had coincided in the Basque parliament and were therefore longstanding acquaintances. Furthermore, the presence of each in the Geneva negotiations underscored the initial seriousness of the other side’s commitment to the peace process. When they met for the first session in Geneva, Josu Urrutikoetxea had with him a copy of one of Eguiguren’s four published books--Los ultimos españoles sin patria (y sin libertad). Escritos sobre un problema que no tiene solución pero si arreglo (Sevilla: Editorial Cambio, 2003)--in which the author affirms that the Basques’ quest for their own independent country was unrealistic but that there remained much room for maneuvering that could produce some sort of accommodation acceptable to both sides. Josu Urrutikoetxea held up the book and told Eguiguren that if he really meant what he said in it there were some grounds for optimism as they embarked upon their mission. HDC insisted that the Geneva negotiations be limited to discussion of the humanitarian issues, although it was obvious from the outset that there would have to be a separate process, another roundtable, at which the historical and political issues underlying the conflict would be addressed. Indeed, in a watershed public address in November of 2004, Otegi had foreseen such a two-track approach to any possible resolution of the outstanding disagreements. In the course of the Geneva process it was decided early on that the participants in the political discussions would be the representatives of the relevant political parties. It came to be known as the “Mesa de Loiola” (Loiola Roundtable), named for the Gipuzkoan place in which the talks were held and attended by representatives of Batasuna, the PNV and PSOE. In the event, the future of Navarra became a major stumbling block in the Loiola deliberations and remained unresolved when, on December 30, 2006, ETA exploded a bomb in a parking structure of Madrid’s Barajas airport. It was clearly meant to be a potent, if non-lethal, manifestation of the organization’s frustration over the slow pace of progress in the peace negotiations—a clear reminder of its capacity to act. Tragically, two Ecuadorians, asleep in parked cars while awaiting the arrival of in-coming passengers, were killed. This afforded critics of the peace process, and the PP in particular, with ammunition to bolster the argument that ETA was never to be trusted. De facto, the organization had broken its declared rejection of the use of violence for political ends. That evening Zapatero formally declared the peace process to be over. If ETA’s violation of its own truce might be viewed as counterproductive to its interests, the Spanish government proved equally capable of “historic error.” Prior to losing power in 2004, the PP had initiated a series of anti-terrorist (i.e. anti-ETA) measures in both the Spanish Parliament and through the Spanish judiciary. On the legislative front, August 26, 2002 the Ley de Partidos Políticos was passed requiring explicit condemnation of terrorist violence as a condition of any party’s legal recognition. The measure was opposed by all Basque political parties as being too sweeping as well as potentially threatening to Basque nationalism writ large. However, on March 18, 2003, the Spanish Supreme Court upheld the constitutionality of the Ley de Partidos Políticos, thereby disenfranchising Batasuna for its failure to condemn ETA’s violence. It was then that Juan Maria Atutxa, president of the Basque Parliament, refused to expel Batasuna’s elected representatives from that body. He argued that to do so would compromise fatally the integrity and immunity of the legislative branch of the Autonomous Basque Government. He thereby incurred for himself and his closest advisors criminal indictment. More broadly, beginning in 1998, Judge Baltasar Garzón (of considerable notoriety for having successfully indicted former Chilean dictator Augusto Pinochet for human rights’ abuses) launched judicial countermeasures aimed against ETA’s alleged support structure. These included the draconian steps of ordering closure of the two Basque language newspapers Egin (1998) and Euskaldunon Egunkaria (2003) and the Basque-language radio station Egin Irratia (1998). Less decisive indictments (i.e. 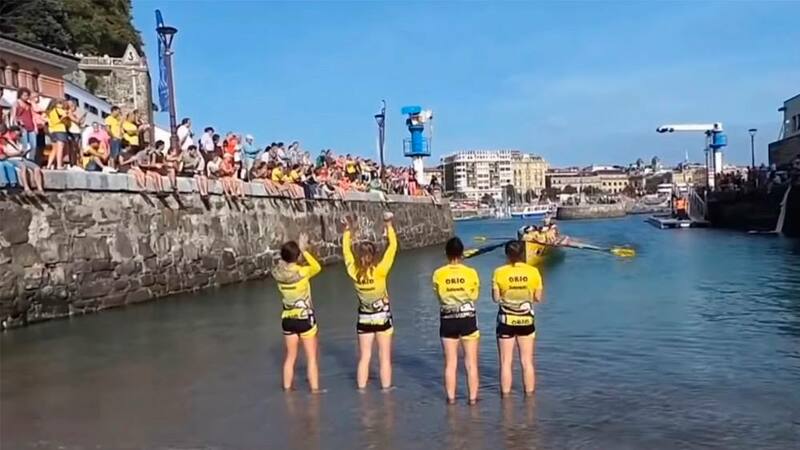 with ongoing legal procedures) were also issued against Udalbiltza, a league of Basque municipalities from both sides of the French-Spanish frontier, and the association of Basque-language academies AEK, among several others. After its victory in the 2004 elections, the PSOE was in a position to advocate reforms of the PP’s anti-terrorist legislative agenda and had a certain amount of discretion in applying the existing legislation. Nevertheless, the Spanish Government failed to take any initiative on either front, although promising during the Geneva talks to do so at some point in the future. It also failed to make what might have served as the important symbolic concession of agreeing to move ETA detainees, at that point scattered throughout the Spanish state under the PP’s prison policy, closer to the Basque Country. When, prior to the Basque parliamentary elections of 2005, the Basque radical left reconstituted itself politically as the Aukera Guztiak (All the Options) party, the Zapatero administration remained passive as the Spanish Supreme Court declared it to be the successor of Batasuna and hence illegal under the Ley de Partidos Políticos. 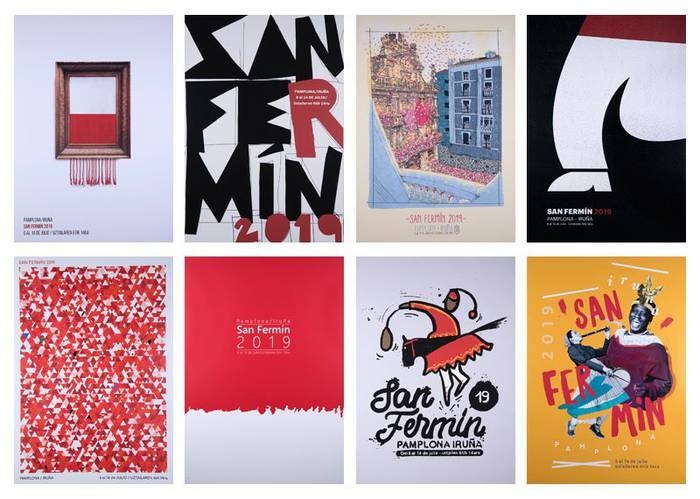 In the event, at the last possible moment a formally recognized (2002), but hitherto inactive, political party Euskal Herrietako Alderdi Komunista (Communist Party of the Basque Lands) presented a slate of candidates committed to Batasuna’s agenda. It was simply too late for the judiciary to block the move and EHAK won 12.44 per cent of the popular vote and nine seats in the Basque Parliament (or two more representatives than held by Batasuna prior to its banishment). Nor, by late 2006 and despite its stated willingness to do so in the Geneva negotiations, had the Spanish Government taken concrete steps to legalize Batasuna. Somewhat amazingly, while the Barajas bombing clearly wounded the peace process, it was not quite fatal to it. Despite Zapatero’s public denunciation of ETA’s violation of the ceasefire and declaration that the negotiations were over, there were ongoing contacts and discussions between the parties to the conflict. 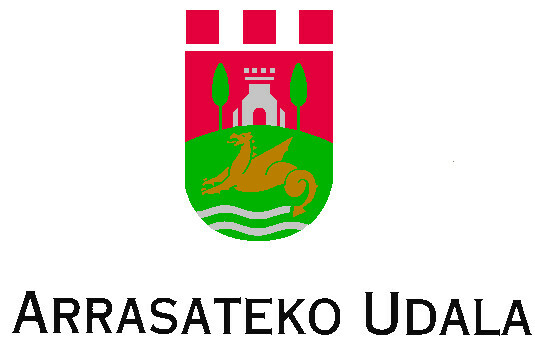 However, in the municipal elections of May, 2007, almost half of the candidates of the oldest (founded in 1930) Basque nationalist political party, Eusko Abertzale Ekintza (Basque Patriotic Action), were declared to be ineligible on the grounds that they had previous connections with Batasuna or its predecessor parties on the Basque radical left (albeit that the said involvement was legal at the time in question). This exclusionary “presumption of guilt” was filed but 24 hours before the election, thereby precluding appeal. 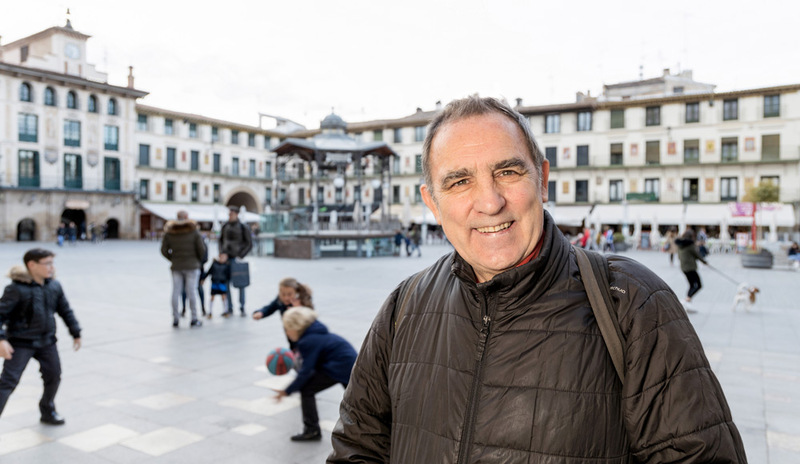 During the contest itself the disqualified EAE slate of candidates won 187,000 votes, although they were prevented from assuming any offices other than two seats on the Pamplona City Council. On June 5, 2007, ETA declared formally that its ceasefire was over. Three days later Arnaldo Otegi, free on parole after an earlier conviction for having facilitated terrorism, was rearrested and incarcerated for fifteen months. In mid-summer the Spanish Government indeed decided to break off all negotiations and so informed HDC. On October 4, 2007, under a warrant issued by Judge Garzón, 23 top leaders of Batasuna were arrested and incarcerated after they left a clandestine political meeting. On December 1, and after a chance encounter, two undercover Spanish policemen were gunned down by ETA operatives in Cap Breton, France. Just prior to the pending March, 2008, election, the Spanish Constitutional Court ruled that both EHAK and EAE had failed to meet the conditions spelled out in the Ley de Partidos Políticos and were therefore disqualified. On the eve of the election (March 8), ETA carried out its first targeted assassination since rescinding its ceasefire, the shooting of PSOE-member Isaias Carrasco, ex-city councilor of Mondragón. If it was meant to undermine the election, it backfired since it became a cause célebre and actually boosted both the turnout and the PSOE’s prospects. In the wake of the election the focus shifted from the aborted peace process to the contest of wills between the Spanish and Basque presidents. President Ibarretxe expressed confidence that face-to-face talks would result in a political compromise that would allow him to proceed in the autumn of 2008 with the promised referendum on his Plan. In the event, their meetings proved fruitless and the Basque president announced his intention to ask for Basque parliamentary approval to hold a referendum in the Basque Autonomous Community seeking public approval of future negotiations with ETA if it would first renounce violence unconditionally and permanently, as well as negotiations among all Basque political parties regarding the details of a future referendum (to be held before the end of 2010) on their right of self-determination of their political future. 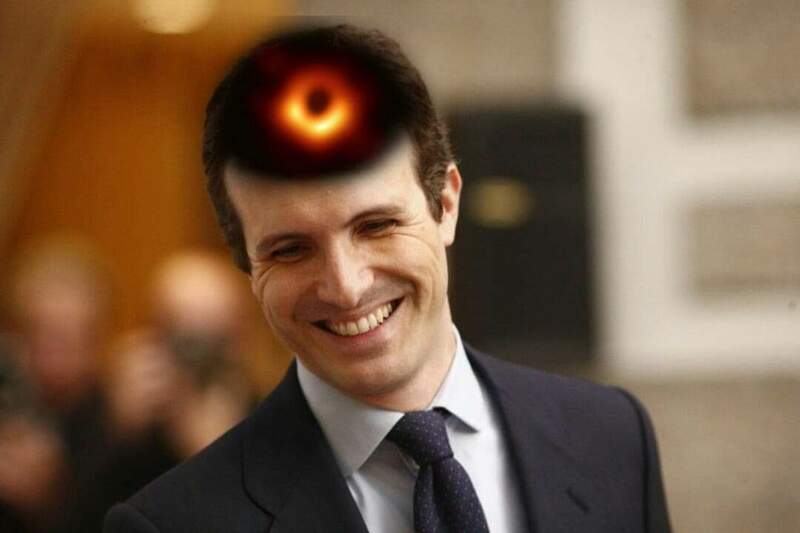 President Ibarretxe argued that this plan was totally consonant with what the PSOE had already agreed to during the Loiola Roundtable. Nevertheless, President Zapatero announced his unqualified opposition to the referendum process, declaring it to be unconstitutional and vowing to block it. On June 27, 2007, by the narrowest of votes (34-33), the Basque Parliament approved the first referendum that was then scheduled for the following October 25. President Zapatero’s response was cautious: a declaration that he was not opposed to greater autonomy for the region insofar as it did not violate the Spanish Constitution and was reached by agreement among all of the political parties in the Basque Country. Regarding the referendum, however, the matter was remanded to the Spanish Constitutional Court for a ruling on its constitutionality. In September ten justices debated the issues and voted unanimously to declare the plebiscite unconstitutional on the grounds that the Spanish state had the sole authority to initiate referenda and this particular one affected all Spaniards and not just the Basques. As of this writing, the Basque referendum has been postponed and the Basque Government has appealed the court decision to the European Union in Brussels, arguing that the ruling is antidemocratic and thwarts the expression of the popular will. Next spring there will be elections for a new government in the Basque Autonomous Region and the failed or stalled referendum will surely be at the vortex of the political debate and outcome. In short, the game of chess (or is it chicken?) seems likely to continue and will probably provide new surprises. 1. Given the fact that Spain’s national elections were scheduled for March of 2008, by summer of 2007 the Zapatero government simply ran out of time (room) for continuing its controversial contacts with ETA. Indeed, it is surprising that it did not break off the negotiations definitively immediately after Barajas. At least some key players within the PSOE’s governing circle must have believed (or hoped) that a negotiated settlement of the Basque conflict might still be possible. Not incidentally, that would have provided the Zapatero government with a consummate political windfall as it headed into the election. 2. Batasuna’s intransigence in Loiola regarding Navarra’s political future (or at least that of the Navarrese to one day decide whether or not to join some future Basque political entity) produced gridlock. Indeed, the Loiola process was fundamentally flawed in that the Navarrese were not represented nor was the PP, Spain’s major opposition party at the time. It is also unclear whether Batasuna was acting independently in Loiola or as a tethered minion of ETA. In short, there were ample grounds for fearing that anything accorded in Loiola might easily unravel in the future. 3. I believe that the prime reason for the seriousness and duration of the peace process was the favorable disposition grosso modo of the parties to it. In the event, it became apparent that there was considerable soul-searching on both sides and that the negotiators were limited by internal disagreement and policy shifts. This is scarcely surprising when we consider that the conflict has remained more or less intractable and unresolved for more than a century. I also believe that HDC’s strategy of only offering to mediate the humanitarian issues, which then forced creation of the Loiola Roundtable, also contributed positively. By having parallel (yet distinct) processes, when progress on one front bogged down advances on the other provided some encouragement and demonstration that mutually acceptable compromise might yet be attainable. 4. Is it over? I rather doubt it. As of this writing, the Zapatero government is the winner of the recent (closely contested) national elections. It faces many immediate challenges (particularly economic) that will likely take precedence over revisiting the Basque peace process. I do not in fact know whether such a renewed initiative is even under consideration by Madrid or whether ETA is predisposed to such a possibility at this time. Indeed, on May 14, 2008, ETA detonated a bomb at a Spanish Civil Guard housing complex, killing one policeman and injuring four others. Less than a week later, ETA’s reputed military chief, Francisco Javier Lopez Pena, along with several other senior leaders of the organization, was detained in Bordeaux in a joint French-Spanish security operation. In short, the relationship between ETA and the Spanish state seems to have reverted to its former (pre-Geneva) status. However, to my mind, the real historic lesson in all of this is that some day there will have to be political negotiation and accommodation if the Basque conflict is to be truly resolved. In many respects, in post-Franco democratic Spain the persistence or not of ETA is more a distraction than the real issue. Even if ETA were to disband voluntarily or undergo extermination through the police measures, insofar as the political issues underlying the conflict remain unaddressed and unresolved, any “victory” will likely be temporary and of the Pyrrhic variety. There have been many past attempts to negotiate/mediate the Basque question, and I do not foresee a future devoid of such initiatives. William A. Douglass (Reno, Nevada, 1939) graduated as a Doctor in Social Anthropology from the University of Chicago in 1967. That same year he took charge of the Programme of Basque Studies at the University of Nevada –Reno UNR. He spent thirty-three years in this post until retirement at the end of 1999. He has also written on such important subjects as Migration or Ethnonationalism not to mention the biography of his father, “Tap dancing on Ice: Jack Douglass (1996) and a book on fishing, “Casting about in the Reel World (2002). Douglass has received various awards and recognition for his many works. Among these, for example in 1984 he was named Doctor Honoris Causa by the UPV- EHU. In 1989 he was named on the Honours List of the group of Basque Studies Society of America. In 1998 he was made an Honorary member of the Academia de la Lengua Vasca. In 1999 not only did he receive the award for the “Leading Researcher “of the year, from the University of Nevada – Reno, but was also awarded the prize for “Best Professor”. That same year he was presented with the prize of “Lagun Onari “by the Basque Government. Also for the last four years a research grant carrying his name “William A. Douglass – Top Visiting Professor “has been in place, created by an initiative of the Centre for Basque Studies at Reno and the Basque Government. 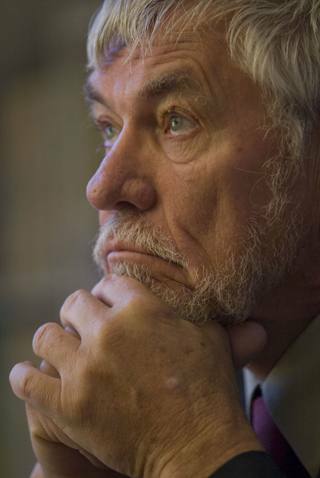 Nowadays he is Coordinator Emeritus of Basque Studies at the University of Nevada – Reno. In this text, however, the biographical and professional side of William A. Douglass has taken on a new dimension. Here Douglass explains his role in the work carried out in the search for a solution to the Basque problem, that is to say, the negotiations, the ups and downs of the process for which he was personally chosen by The Henri Dunant Centre (in Geneva), to instigate Humanitarian Talks. He refused the initial request but the second time they asked he accepted, and he goes on to explain his visits to the Basque Country, the meeting with the then Prime Minister Ibarretxe, the cover-ups, the talks he held with Basques on both sides of the conflict, the contacts with ETA, the role of the Geneva office, the ETA ceasefire, the talks in Loiola and the steps taken from autumn 2003 to the spring of 2004. The contract signed with the Henri Dunant Centre meant he had to remain silent for a lengthy period of time. Now that this time has passed, the anthropologist has come to reveal the truth through a direct interview conducted on 20th September 2008.